Scholar Works Enterprises of GA, Inc is a 501(c)3 non-profit organization designed to provide career mentoring and college prep support to middle school and high school students identified as high risk. 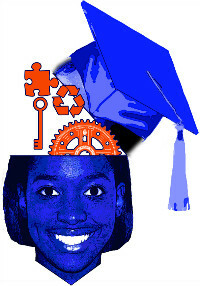 Scholar Works Enterprises of GA was established in 2004 by two friends who were motivated by the critical need to address alarming drop out rates of minority youth matriculating through the Georgia Public School system. through actual business leadership practice and workshops; empowering youth through financial literacy. Providing Test Taking Skill Workshops/ Resources for middle school and high school students. Providing tools and supportive programs for excelling in Math and Science for middle school and high school students. Providing healthy competitive environments through our business plan competitions and youth biz camps. Providing fun filled and educational bus/ physical walking tours of college campuses in the U.S.